The chef trailblazing the way for the cuisine of the Incas shares the humble journey he took to shape the South American culinary identity. Virgilio Martinez is slightly shy in front the camera. But behind the small frame and modest smile is a chef with a mission and passion to put his country’s cuisine on the world’s culinary radar. 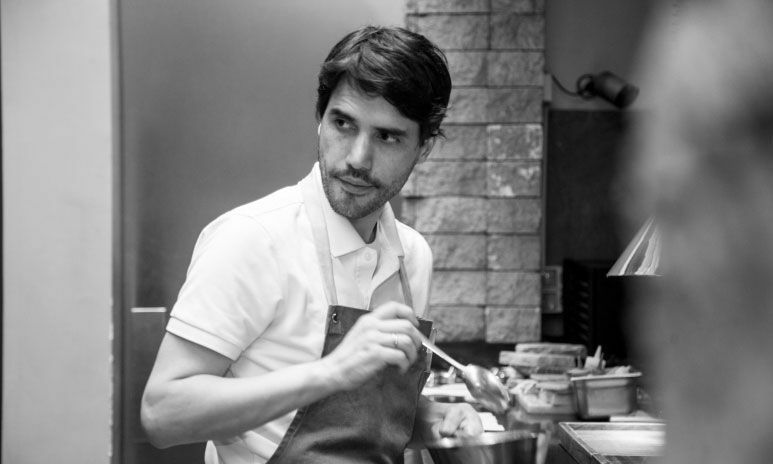 His restaurant Central, located in Lima, Peru, shatters expectations of ceviche and potatoes, and instead reconstructs ancient methods for a unique portrait of what the South American country can offer. “When I was 18, I wanted to be a professional skateboarder. My mother and grandfather were esteemed artists and family influence on the arts is immense. My mom would encourage me to paint and sculpt, but I desired the outdoors a lot more,” recalled Martinez. “I attended law school for a year and hated it. Instead, my desire to travel took me out and all over the world. I wanted to take after my family’s creative streaks, so I became a chef.” The journey to become a chef took Virgilio to different parts of the world, where he would learn and be influenced by cuisines from French and Italian to Japanese. He wanted to recreate them when he returned to Peru. It backfired. “Like a lot of restaurants in Peru, chefs always wanted to do something different and have little connection to their own country, but it often fails to impress. So I took the alternative approach and tried to build a Peruvian connection.” He stopped his business for a year and travelled the country, exploring different landscapes and terroirs. In the process he became attuned to the philosophies of the country, as well as the different ecosystems that facilitate growth of produce, mastering the encyclopedic knowledge and a deep connection with the country he has since fallen back in love with. The building block of Peruvian cuisine is its diversity. It is not just ceviches and potatoes and corn. When you travel to different regions you will understand different areas will feature cuisine built on different dishes or execution of ingredients. When we source ingredients we build relationships with the communities and understand what’s at stake, and hope that they will understand what we do and help. The best kitchens in Peru are full of plants and unique produce. Our restaurant is relatively close to different altitudes and we can get to them rather easily which makes sourcing these ingredients very convenient. My cuisine takes a vertical form in terms of levels and altitude instead of horizontally by region. You can find different produce across different landscapes from different sea-levels. You can find plants from mountains and valleys and seaside. When it comes to Peruvian cuisine you need to understand we don’t have a specific season for produce. Microclimates in different regions produce same produce in different areas all year round. People don’t pay more attention to Peruvian cuisine because of me, they do so because they are starting to see the uniqueness of the cuisine of the great Incas, which is why our cuisine is relevant to the cuisine world, just like French, Italian, Chinese, and Japanese. Loving food is not just about having great meals, it should extend to a relationship and estimation of value of the mother earth. Respecting the ingredients is just as important as appreciating them. Chefs don’t just stay in the kitchen, we have a voice and responsibilities for our producers and our guests, and for that matter, the entire population who feel passionate about food. It is my life’s mission to be an example to others and to help people understand the relationship of my food with respect to nature.